When most people think of love, the color that would come to mind is probably pink, but green is also a "love" color, too! Green is of a more universal, "brotherly" love. It is about respecting and appreciating our fellow human beings, nature and animals, to name a few. Green is one of the most abundant colors in nature and it is no surprise that hanging out in a "green" environment can be relaxing for the mind, heart and soul. The energy of this color has a lot to do with why we visit parks and other similar places in nature to clear our heads and restore our good moods. The color green can have this same effect on our feelings and mindset when we incorporate this color into the daily wardrobe. Wear green to inspire compassion for those you come into contact with. This color is soothing to the senses -promoting harmony, balance, healing and hope. If you're looking to transition into a new phase (of any kind), wear this color because it assists you in any changes you need to make in your life. Think the seasonal changes of nature (color, weather, shedding of leaves, etc) and then you recognize how green can help you to transform, transition and grow. Don't wait... add something green to your wardrobe or to your life! Allow yourself to take the energy of peace, love and relaxation out into the world with you no matter the season! 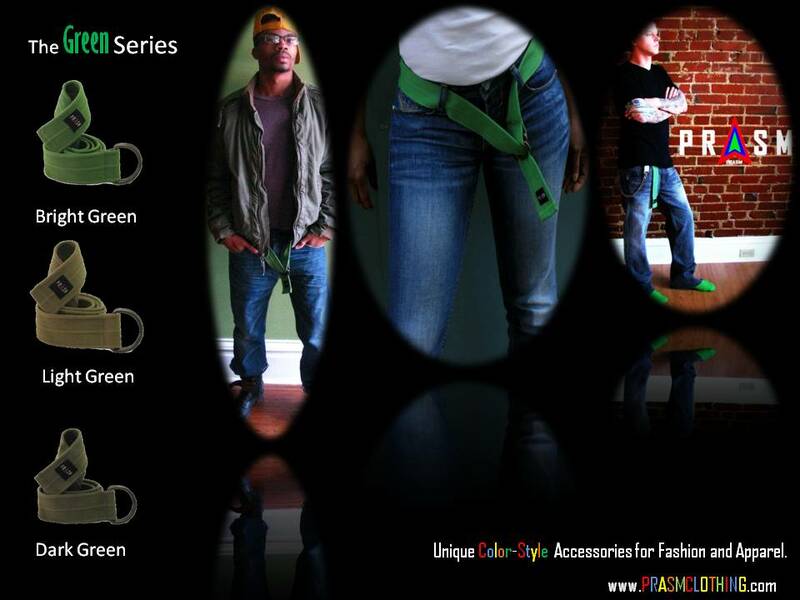 Looking for the PRASM collection online? Check us out at www.PRASMCLOTHING.com.